One restless night, I demanded that my friends come over to my house to play Clue. This was about three years ago. I insisted they come because i had just purchased this game and it's just not a two-person game. You can do it that way, as I've played several times with me and Sean with Julian on the team of whoever he thinks will win--a method he wishes he could suddenly alter whenever he feels he might risk being on the losing side. But anyway, it's not the same. So two friends came. Their names are Suvi and Suzie. If you try you can combine the names, like Suvzie (and I always try). These gals are winners because they're always up for fun and spontaneous silliness. They're always "game," if you will. The game was close. Or something. The tension grew. Ever one of the gals, Sean was there as well, so the four of us spread out like the detectives we were over that special anniversary edition of the game. All the rooms, all the weapons, all the suspects and hidden passageways. Who was it? With WHAT? WHERE??? As we collected our clues and made our deductions the race to solve the crime grew fierce. Trying to get to a specific room without looking like you're really trying to get there is difficult. "oh, i guess I'll just go in here then and make a guess, why not?" *shifty eyes* But you start to sweat when you see others following and you're stressed but the thrill that you might be right goads you on. Come on, figure it out! THINK. What do you have left? Which one is it?? I exclaimed, "What happened? What's the third card?? Ok, I've got it. 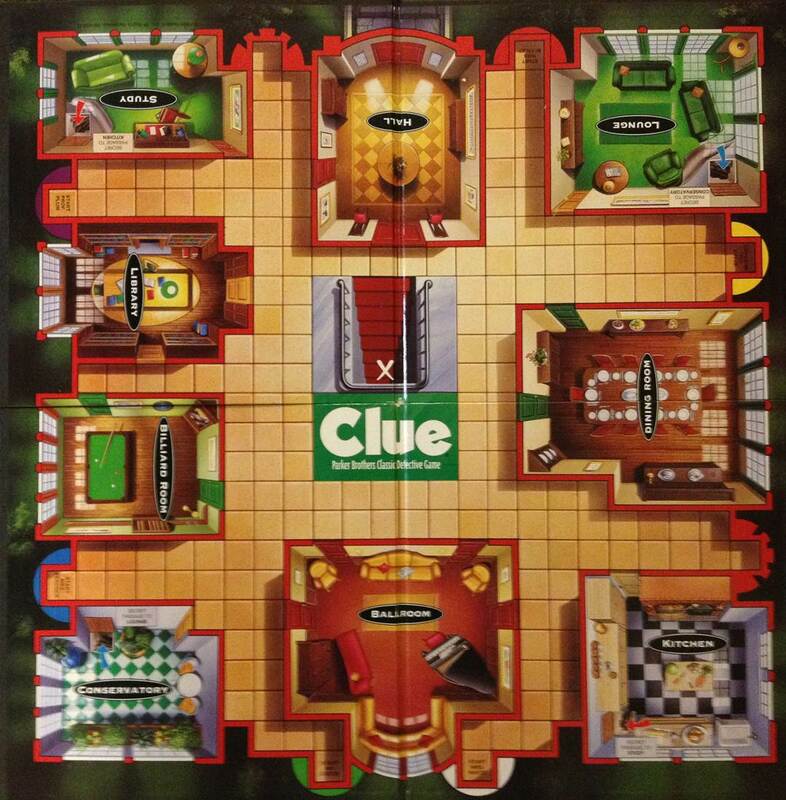 [someone sinister tone] The murder took place in the library... AND the billiard room!" And Suzie chimed in, "...and he killed him by DRAGGING him, back...and forth...back...and forth...?" And we all laughed, giddy and nervous. The tension at a breaking point, we had to open the orange envelope to solve this crime once and for all.